One or two player cute 'em up from Konami. Detana! Twinbee is another title I've always been fond of. It's a graphical tour de force, with so much happening on screen, and excellent use of layered backgrounds. And to boot, it's a cooperative two player! 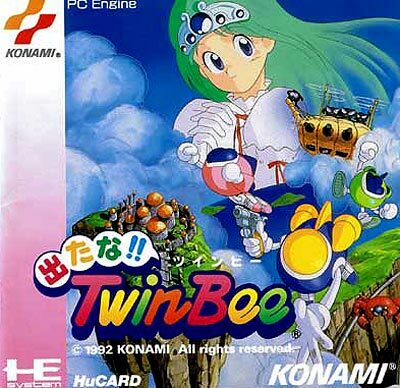 Twinbee is another excellent cute-em-up series from Konami, but seems overshadowed by Parodius. It features the Bell power up system that the series is now synonymous with - enemies release bells that you can shoot up the screen to change their colour before you collect. Much like Bomberman, it's often greed for these power ups that kills you. This is a game that concerns itself with being fun over being challenging, and it doesn't take itself seriously. Bosses include giant Crabs and giant flying pirate ships, and it gets very silly. I really can't recommend this game enough, it manages to stand out as an excellent shooter on a platform full of them.